The rebranding of Noon Mediterranean as Daphne’s Mediterranean begins next month with two store conversions in Dallas, the company said. Daphne’s parent, Elite Restaurant Group, last October acquired New York-based Noon in a bankruptcy deal. At the time, Elite said it would convert Noon under the Daphne’s banner while keeping some elements of Noon’s menu. The first two hybrid locations will reopen in Dallas as Daphne’s Feb. 8 and Feb. 15. They are the first of 11 Noon conversions planned in Texas and Massachusetts. The rebranding should be complete by April, according to Elite. That status of a 12th Noon store in Pennsylvania is still up in the air, said Elite, a Los Angeles-based restaurant group that also owns Slater’s 50/50 and Patxi’s Pizza. 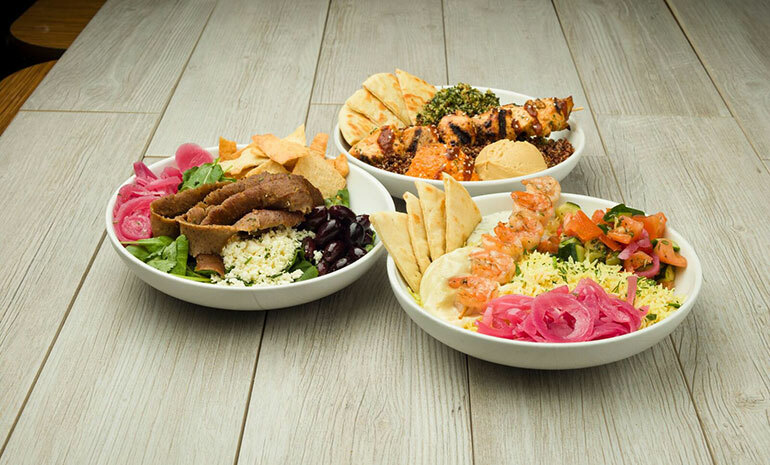 The hybrid stores opening in Dallas will have the Daphne's menu, while maintaining Noon’s assembly-line system for build-your-own bowls. However, all Noon branding will disappear, as the stores going forward will be called Daphne's Mediterranean, Elite said. “We’re thrilled to be expanding the Daphne’s name and brand into Texas, starting with Dallas,” Michael Nakhleh, president of Elite Restaurant Group, said in a statement. Once the Dallas locations reopen, Daphne’s will have 23 locations in California and Texas. Daphne’s has gone through several name changes since it was founded by George Katakalidis in 1991 as Daphne's Greek Cafe. 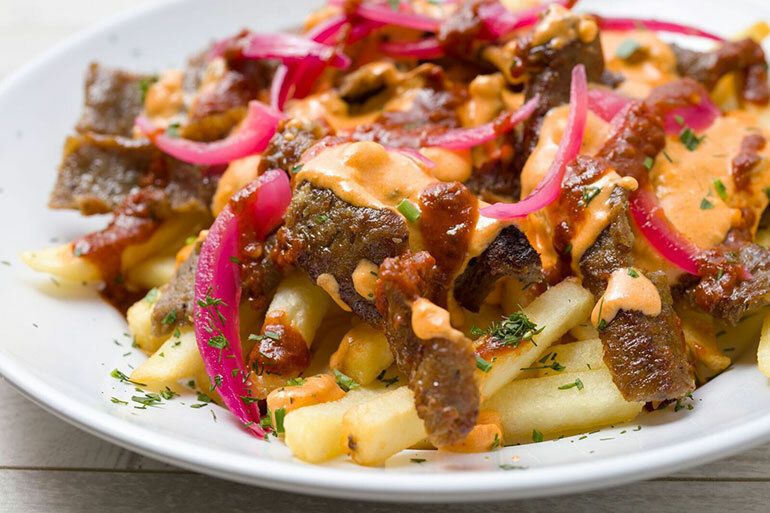 The fast-casual concept, known for its gyros and kebab plates, once operated close to 80 restaurants in the western United States. But after the Great Recession, Daphne’s filed for Chapter 11 bankruptcy protection in 2010. It has since changed ownership and names a few times. When Nakhleh purchased Daphne’s last year, he stripped “California Greek” from its name, revamped its look and menu and introduced Daphne’s-branded gyro kits at 90 Costco locations on the West Coast. Elite began its buying spree a few years ago with the purchase of the bacon-centric burger brand Slater’s 50/50 in Southern California. In 2018, Elite bought Daphne’s, Patxi’s Pizza and Noon.